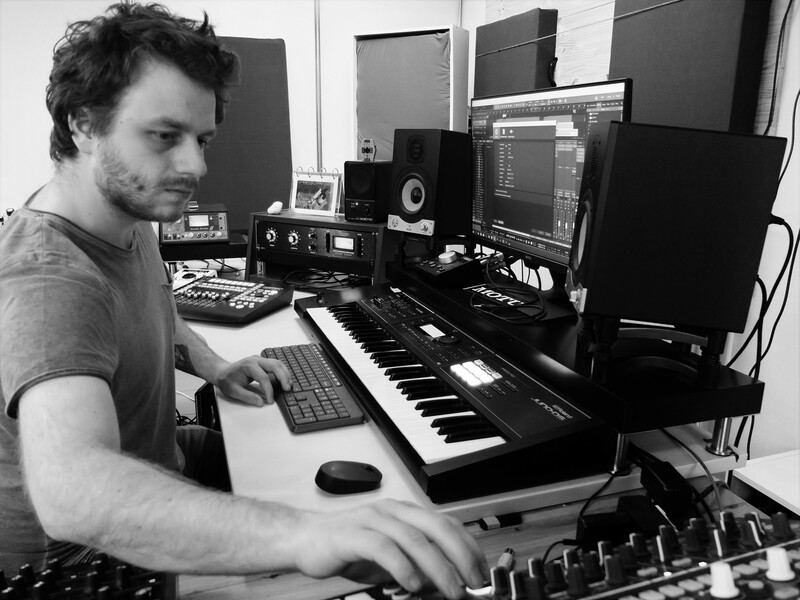 Hook Studio is a recording studio run by Pieter-Jan Theunis (Ruby Grace, Neon Electronics, Skiska Skooper,…). Located in rural Limburg (did I hear somebody say ‘vlaai’? ), the studio is in close proximity to the highway E313 and is easily reached by public transport. Prefer to come by car? Not a problem. There is ample free parking available right by the studio. To me, the most important part of a song is the feeling the artist puts into it. That’s why I make it a priority to bring out the best in the artist and their art. Hook Studio is a stress-free environment where you’ll be given the freedom to experiment. You want to try and set your guitar on fire to find out what sound it makes? I’m down for that. I try to record with a certain curiosity on how to achieve the best sound without bypassing classic recording techniques. So, if you just want to put an SM57 in front of a Marshall amp, that’s great too. We have all the gear required (mics, outboard gear, coffee machine,… ) to achieve a personalized sound. My goal is to get the absolute best version of your music out, whatever it takes.